Many estate plans involve businesses. Our firm advises and represents companies and entrepreneurs with both business startup and business succession services. Starting a business requires thorough planning. 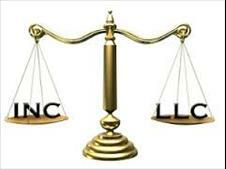 Our firm assists business owners in the formation of legally sound business entities. We advise on the business startup and formation process including issues related to selection of entity type and jurisdiction. As part of the estate planning process, we also draft buy-sell agreements and assist owners with business succession and exit planning.